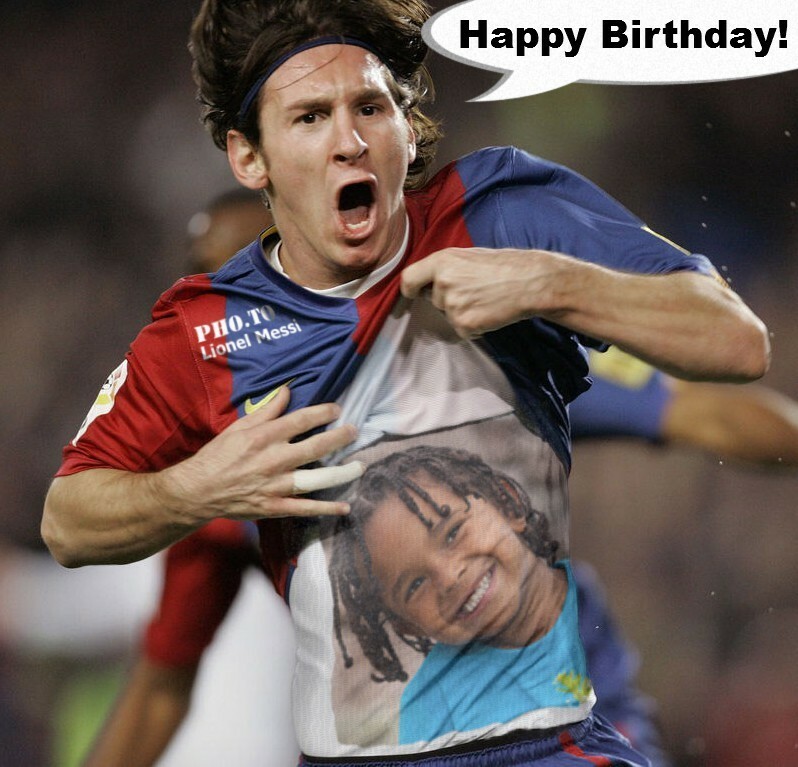 Lionel Messi photo montage is the easiest way to have your own photo with Messi! No need to visit FC Barcelona matches for a shot with a soccer idol, just put your face on Messi t-shirt with this online photo template and get a great football fan photo. Photomontage with Lionel Messi is one of the best football photo effects with celebrities which all football fans will just adore. This online photo montage maker can help you, as a soccer fan, feel yourself a part of a celebration brought by another great victory of Barcelona football club and Leo Messi himself. If you wish to have a photo with Messi, you don’t have to pursue your sports idol. Funny.Pho.to has a better idea - put your photo on his footbal t-shirt, be close to the soccer star as never before. Just upload your portrait photo to make a Messi photo montage, that can be used as a great profile picture for social media. 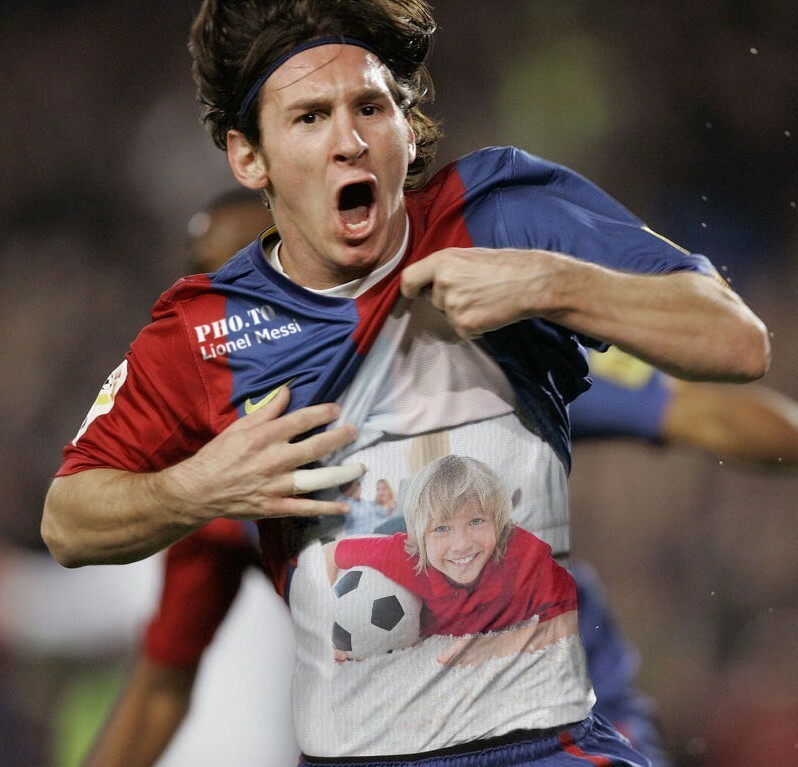 This photo template shows Lionel Messi pulling up his t-shirt showing your portrait. This Lionel Messi photo montage template is just one among many free photo effects with celebrities available on Funny.Pho.to.